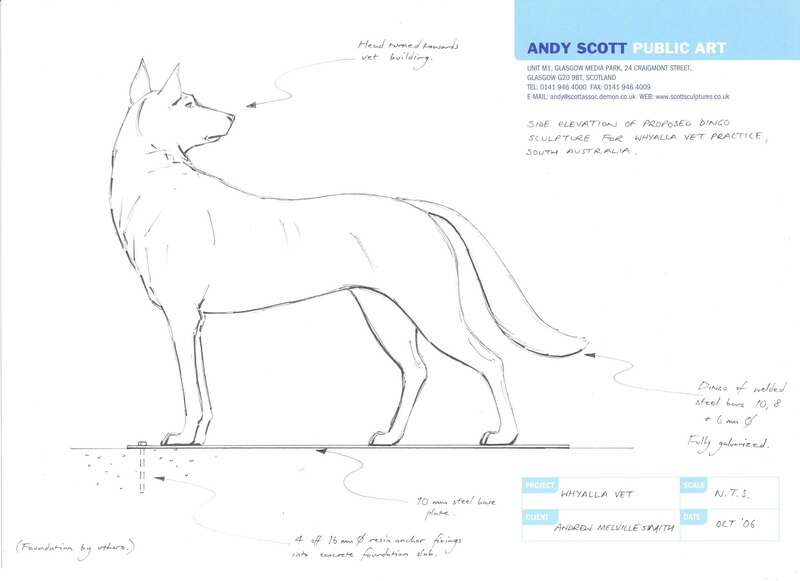 Preliminary designs in 2006 made from Henry Lawson’s descriptions of Tommy in the Loaded Dog are translated into a solid steel sculpture construction by welding a mosaic of thousands of small sections of 10 & 12 mm steel rods together. 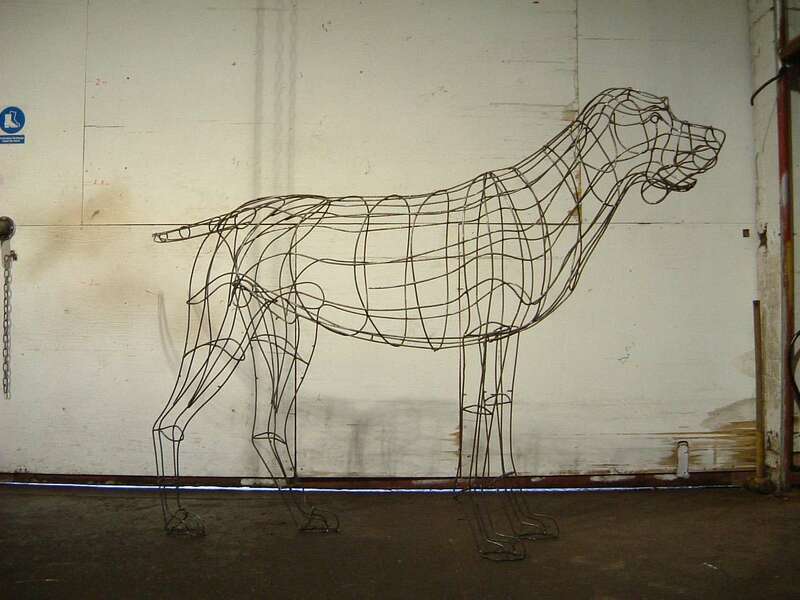 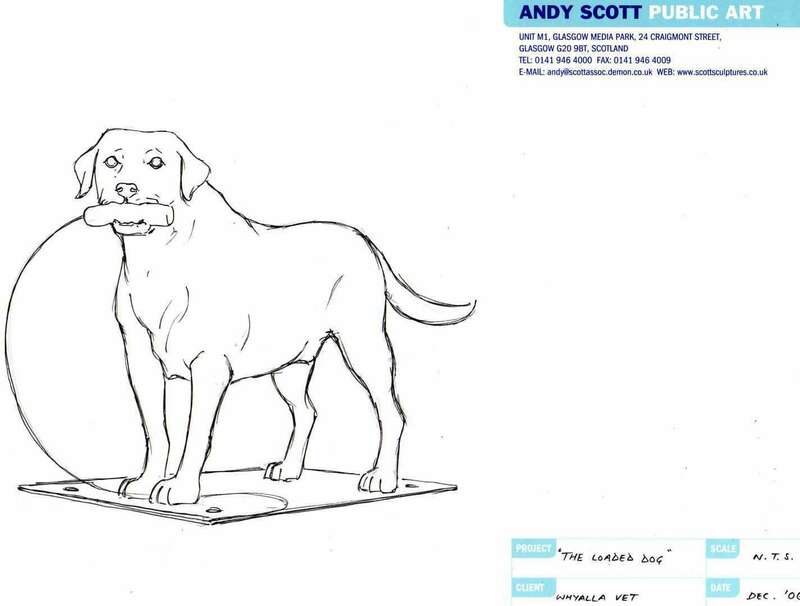 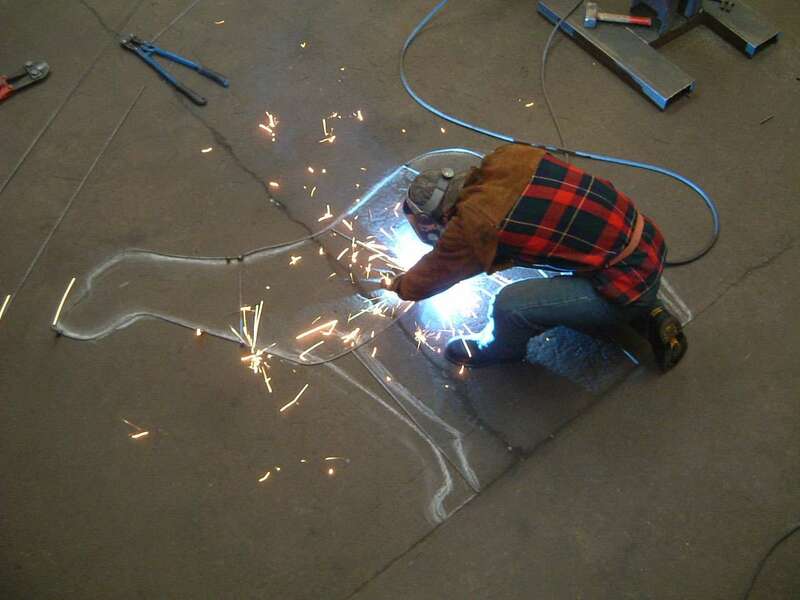 During 2007, the dog gradually takes shape in Andy Scott’s workshop in Glasgow, Scotland. 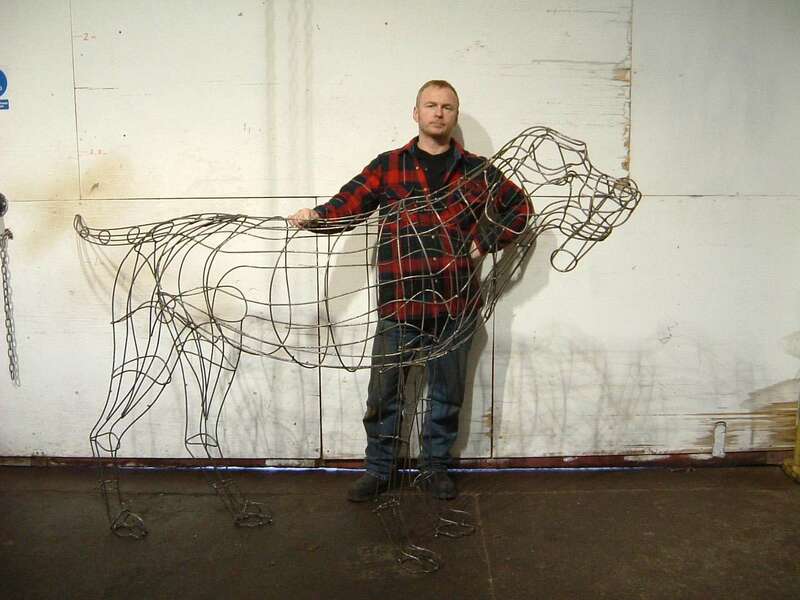 When completed, the sculpture is sent off to be galvanised. 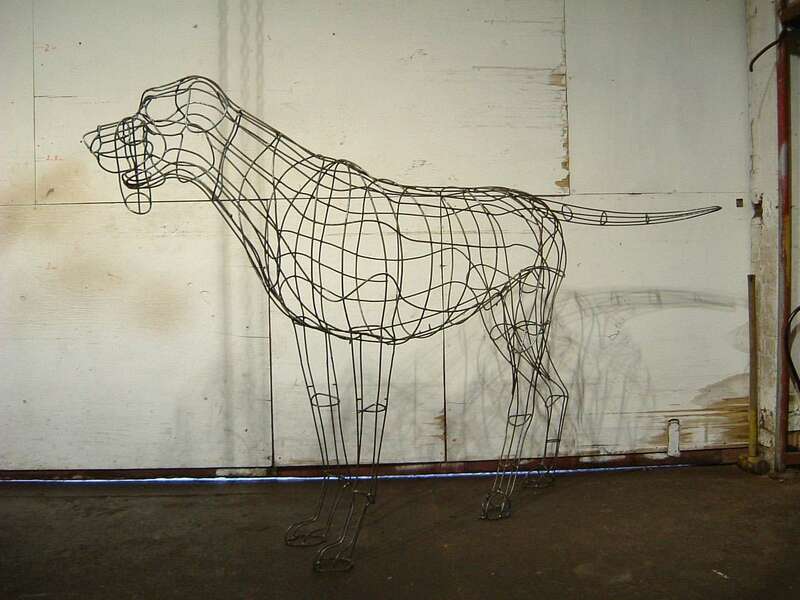 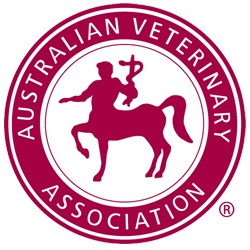 Finally in late 2007, the dog is finished and packed in a crate for the long journey to Whyalla, South Australia.